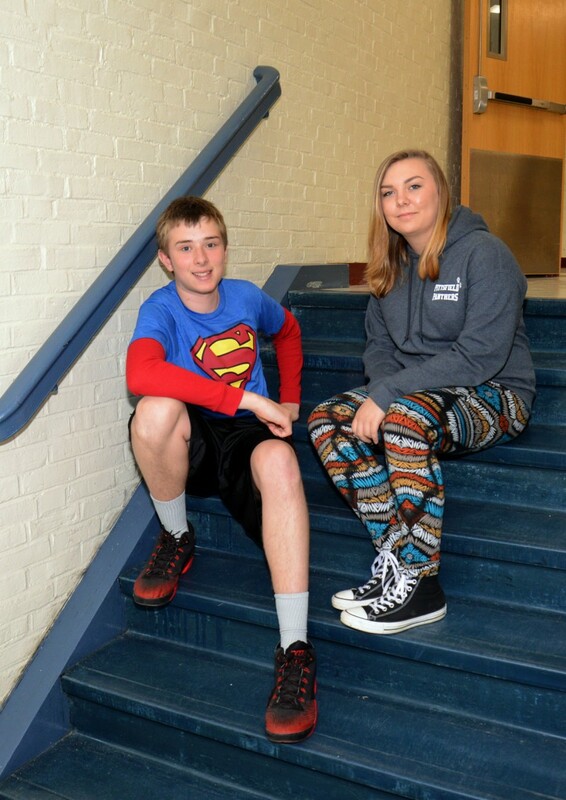 PITTSFIELD, N.H. — When freshman Hope Parent left her cellphone unattended at Pittsfield Middle High School, last year, her classmate Brandon Bojarsky saw his chance for a little fun. Grabbing the device off a windowsill in their Spanish class, he quickly shot off a few obnoxious text messages to people in her contact list — including one to Hope’s mother. By the time Hope figured out what Brandon had done, her phone battery had died. She couldn’t immediately follow up with people to tell them the unkind words hadn’t originated with her. But even worse, her mother — who lives out of state — was deeply upset. Brandon had texted “I hate you” to her, particularly hurtful language at the time. “The relationship with my mother wasn’t that great so [the message] seemed believable,” Hope said. At home after school, Hope had to convince her father she had nothing to do with the prank message to her mother. In the following days, having to encounter an apparently unremorseful Brandon at school made it impossible to forget the incident had happened, Hope said. She took her complaint to a teacher who had a suggestion: What if the school’s new justice committee heard the case? In traditional school discipline programs, students face an escalating scale of punishments for infractions that can ultimately lead to expulsion. But there is now strong research that shows pulling students out of class as punishment can hurt their long-term academic prospects. What’s more, data show that punishments are often unequal. Nationally, more black students are suspended than white students, for example. 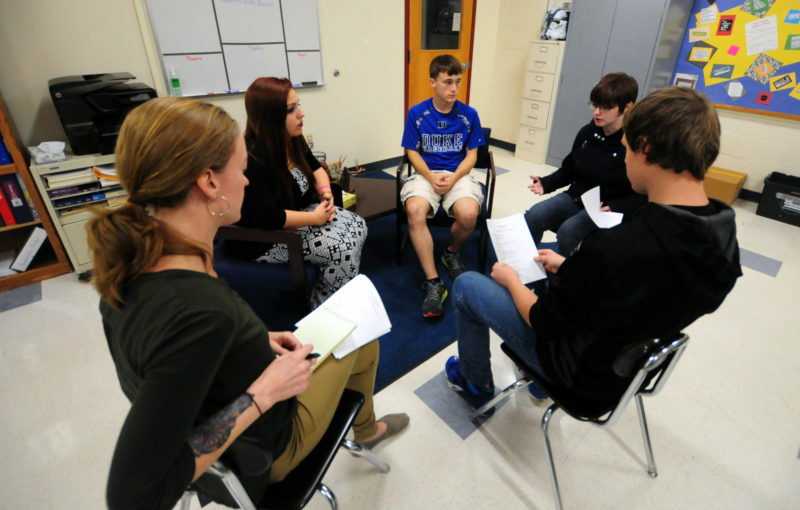 As a result, alternative programs like restorative justice are gaining popularity in public schools from Maine to Oregon. Early adopters of the practice report dramatic declines in school discipline problems, as well as improved climates on campuses and even gains in student achievement. In 2009, Pittsfield was rated one of New Hampshire’s weakest campuses. A massive influx of federal aid and private grants (including the New England-based Nellie Mae Education Foundation) has since been poured into the rural school, located in a former mill town in the state’s Suncook Valley. For the past year, The Hechinger Report has been following Pittsfield’s transformation into a “student-centered learning” environment. The 260 students at Pittsfield are given more choices of how and when they learn, and they are encouraged to pursue their interests through project-based learning and internships. The student-centered learning approach now also extends to campus discipline. Lower-level offenses can be redirected to the justice committee, which is made up of student mediators, with school administrators and teachers serving as advisors. The goal is to provide a nonconfrontational forum for students to talk through their problems, address their underlying reasons for their own behaviors, and make amends both to individuals who have been affected as well as to the larger school community. In addition to the growing body of research supporting the benefits of alternative campus discipline programs, there is now federal pressure for districts to rethink their practices: schools may face sanctions if discipline policies are found to unfairly target minority students. That is a significant milestone, said attorney Thena Robinson-Mock of the Advancement Project, a national civil rights organization. 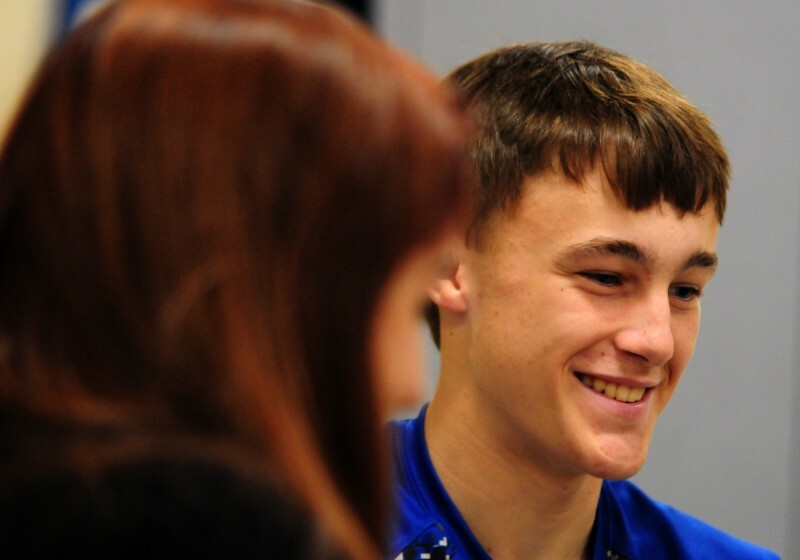 Brandon wasn’t sure at first that he wanted his case heard by his peers at Pittsfield. He’d been in trouble before and the punishments, usually in-school suspension or having to show up for an all-day study hall on the weekend, were bearable. But this time things were different. Not only was Hope mad at him, but so was her father. Pittsfield’s justice committee meetings are held in a circle. It’s expected that only one person has the floor at a time, and interruptions are discouraged. Early in the planning process, the Pittsfield students opted to write a loose outline for each meeting, including a list of questions that all parties would be expected to answer. The idea for a more formal script was dropped when the committee began its actual work and students realized it was limiting eye contact among the participants. When the committee reviewed Brandon’s cellphone prank, Hope, as the affected party, was asked to speak first to describe the incident and how it impacted her. Sitting across from Hope, Brandon was then given an opportunity to respond. The peer mediators questioned him: What were you thinking when you took Hope’s phone? How do you feel about what’s happened? Who do you think has been affected by your actions? Those were tough questions to answer, Brandon said. It also wasn’t easy to hear Hope’s side of things. In addition to deciding that Brandon needed to make amends, the committee also determined that Hope had broken a school rule by having her cellphone out in class, and that she needed to take responsibility for that. To be sure, restorative justice isn’t an easy fix. It took time to convince Pittsfield’s broader community that the investment of resources would be worthwhile. There were multiple meetings with students and staff over the course of several years, as well as community forums to help parents prepare for the change. Pittsfield’s students and staff underwent training through the Center for School Climate and Learning in Henniker, New Hampshire, and researched restorative justice programs in other school districts, including Chicago. The justice committee officially launched in 2014. Anyone at Pittsfield, student or staff, can fill out a community concern form and submit it for possible referral to the committee. (Major infractions or ones that involve potential criminal offenses are not eligible.) If all parties don’t agree to participate, the school’s more traditional discipline structure is followed. Since last fall, Pittsfield’s committee has handled a dozen mediations stemming from interpersonal disputes among students, as well as five cases involving students and teachers. In cases in which students raise concerns about teachers, the staff member can opt to either participate in the full committee (as most of them have) or talk with the student in a more private meeting. Students who serve on the committee say participating in the discussion circles has made them better listeners and more thoughtful about their own behavior both in and out of school. Restorative justice programs are not without risk, particularly in school settings, and poor implementation can actually make problems worse, according to some experts. In Los Angeles Unified, the nation’s second-largest school district, it’s been a bumpy two years since suspensions for classroom misbehavior were banned in favor of a restorative justice model. Policy analyst Andrew Rotherham of Bellwether Education Partners in Washington, D.C., said that while he’s seen strong school-based restorative justice programs in action, he has concerns about the sudden popularity of — and political pressure for — alternative programs. 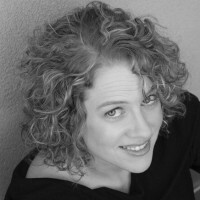 Kathy Evans, an assistant professor at Eastern Mennonite University, which offers a graduate certification program in restorative justice for educators, shares Rotherham’s concerns. Restorative justice can’t exist in a vacuum, Evans said. Schools also have to address the campus climate issues that contribute to student behavior. Quantifying the number of schools using restorative justice is difficult. In addition to the large-scale district programs that have been well-documented, many teachers are opting to use the model in their individual classrooms. That’s one of the reasons why a group of restorative justice advocates and educators met last summer to begin outlining plans for a national association, according to Evans. The goal is to support grassroots efforts and to ensure that there’s both consistency and accountability for restorative justice programs in schools. Evans said she observed a restorative justice circle at a school recently in which the students were still looking to the teacher for permission to speak. That’s a red flag, she said. To be sure, it takes time to build trust among students and adults for alternative discipline programs to bear fruit. A school like Pittsfield where student-centered learning is the norm has a head start, said Evans, but restorative justice can — and does — work in many different kinds of campus settings. After hearing from both Hope and Brandon, Pittsfield’s student mediators asked Hope what she needed to resolve the situation from her perspective, and she said she wanted Brandon to apologize. The peer mediators suggested he write letters to the people who had received the prank texts. That would work for her mother who lives out of state, Hope told the committee. But her father would want something more. Additionally, the mediators decided Brandon should talk to students in younger grades about what he had done and use the experience as a life lesson. Hope was impressed with how seriously Brandon took his duties — and her dad was, as well. “A lot of kids would have just taken the suspension and not owned up to what they did,” she said. Taking part in the restorative justice process has also left them on better terms. Now both in 10th-grade, they say “hi” when passing in the hallway between classes, and Hope said she’s no longer angry. Those feelings probably would still be lingering if Brandon had only been given a more traditional punishment like detention, Hope said.